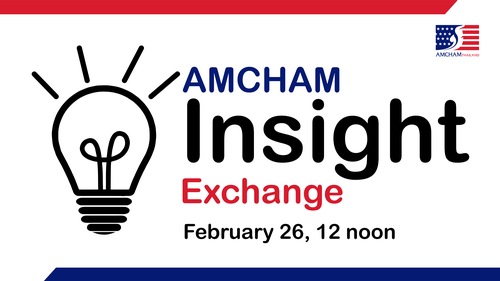 Starting in 2019, AMCHAM is pleased to introduce our AMCHAM Insight Exchange lunch series, where business development and networking go hand in hand. These small group meetings bring together members from different industries to connect, brainstorm solutions, and identify new opportunities. Come ready to share not just your elevator pitch, but also your business questions and needs. Around the table, you'll find peers with solutions and ideas, as well as the need for your knowledge and expertise in return. Are you looking for a new source of business leads? Looking to hire? Need referrals for lawyers, headhunters or website developers? Perhaps you are searching for opportunities to speak on your area of expertise. Come explore these topics and more and strengthen your relationships within the Bangkok business community. Only AMCHAM members may register. Spaces are limited to 16 guests, one representative per company. Discussion will be facilitated by the AMCHAM Executive Director and team. 400 Baht. Only AMCHAM members may attend, limited to one participant per company. Fee includes sandwich lunch, coffee, tea and soft drinks.